CO2 emissions have skyrocketed in 2018, with India, China and the United States marking the worrying trend, according to the report of the Gobal Carbon Project published in the Nature magazine and presented at the climate change summit in Katowice (Poland). The estimated increase at the end of the year is 2.7%, compared to the 1.6% rise experienced the previous year and after the stabilization of the period 2014-16, which did not finish as the expected turning point. The opening of new coal-fired power stations in Asia, the greater electrical demand in the US due to the extreme cold in winter, heat waves in summer and the increase in the fleet of cars with combustion engines (despite the irruption of the electric vehicles) are some of the reasons that explain the increase in emissions left in the air commitments of the Paris agreement to limit the rise in temperatures to two degrees (focusing the "efforts" not to exceed 1.5 degrees ). "Every year that emissions increase we are putting at risk the economies, the homes and the lives of billions of people, " said Christiana Figueres, the architect of the Paris agreement from her post at the UN, now embarking on the called "Mission 2020". "We are in the era of exponential growth and we have to step on the accelerator of the" solutions "to win this race," warned Figueres, as he passed through Katowice. "Renewable energy and electric cars are expanding fast, but the impacts of climate change and extreme weather events are also accelerating." "There was hope that China would leave coal behind and consummate the transition to renewable energies, but the last two years have shown that it is not easy to say goodbye quickly," the director of the International Center for Climate Change Research told The Guardian. in Norway, Jan Ivan Korsbakken. 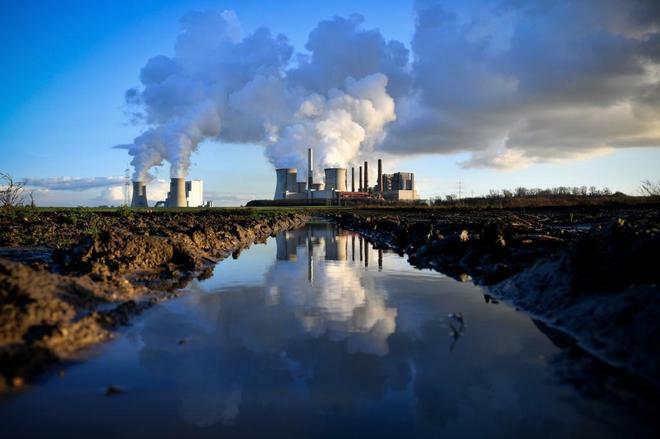 In the three years since the Paris agreement, the banks have financed on a global scale (mainly in China and Japan) the construction of 120 coal plants with the equivalent of more than 400,000 million euros. The campaigns of "disinvestment" in fossil energies rooted in the United States or the efforts of countries such as the United Kingdom (which celebrated the first day in 2017 without burning coal) have been insufficient to boost the global energy turnaround. In the US, the use of coal has fallen by 40% since 2005 and is at the lowest level since 1979. Despite Donald Trump's decision to abandon the Paris agreement, emissions are expected to fall again. a "natural" way in 2019, due to the introduction of natural gas and the growth of renewables. "The global increase in emissions is worrying because to deal with climate change we have to reduce them eventually to zero," said Corinne Le Quéré, an expert at the British University of East Anglia and co-author of the Global Carbon Project report. "The truth is that until now we have not seen any action on the part of the governments, we hope that the commitments will be real from now on and that 2020 will be the true turning point ".